Live video notification from friends is on one of the irritating things for this time most of the people shutting off. But some time it’s very useful, that’s making chance to watch live broadcast video by your Friends and With Friends. 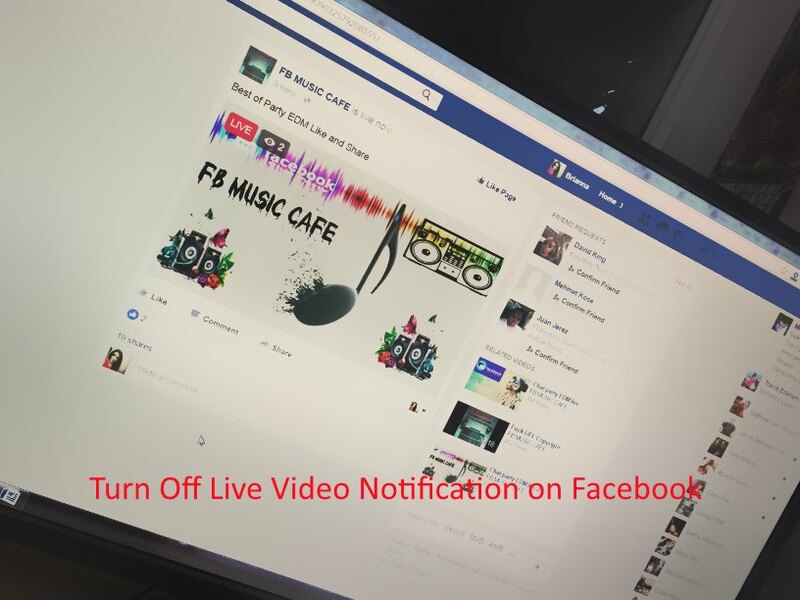 Here I share tips on how to manage or Turn off Live video notification on Facebook from Mac/ PC Browser. If you experience Share Live video on Facebook app from iPhone, iPad then Privacy or sharing option there in the next step before publish or live. Some people are choosing wrong sharing options like All Friends, Public or more. 1: Go to Facebook on Mac/ PC browser. 2: From Top right corner tap on arrow icon. 3: Next, Click on Settings. 4: Then, from right side pane click on Notifications. 5: Tap on “On Facebook” (For the customize all Notifications and All sound on). 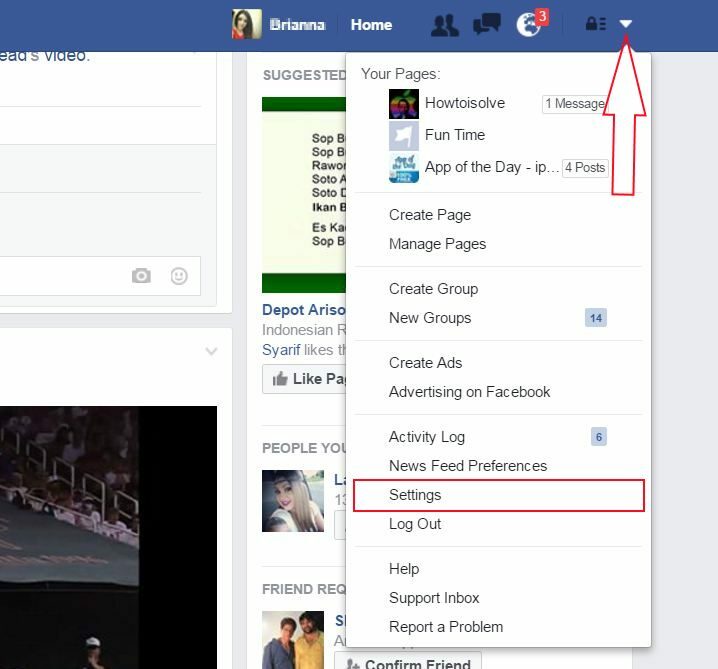 6: Second last option inside On Facebook pane for Live Videos. From Drop down menu option choose All Off. More other notification settings you can change at here. 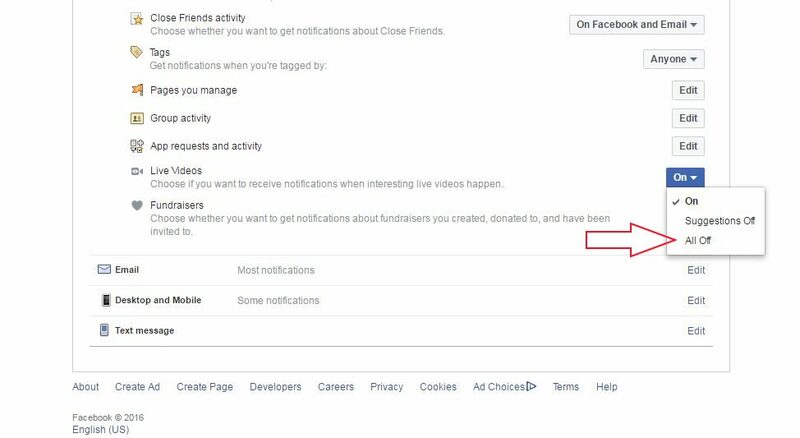 Really helpful from get spammy or annoying request or alert by Turn off Live Video notification on Facebook account. More help and suggestion share with us on comment.